NBC has chosen The Wiz as it's next live musical EXTRAVAGANZA. You know that feeling when you're excited but also completely terrified? Yeah that. NBC previously revealed that two titles were under consideration: The Wiz and the 1957 hit The Music Man. 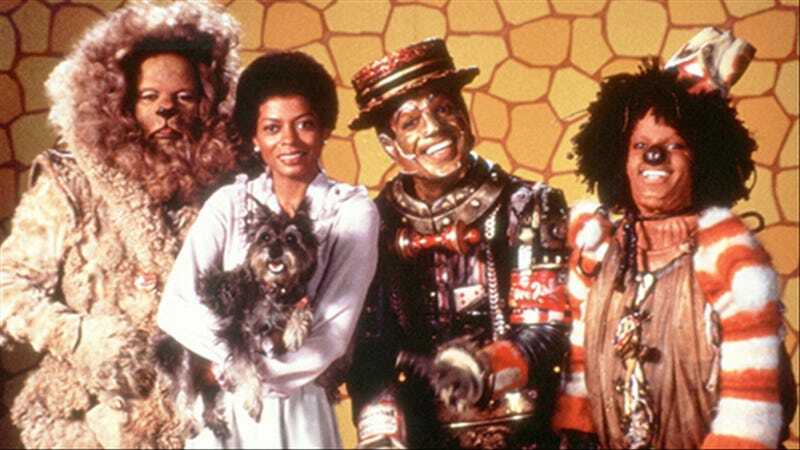 But especially after the extraordinary performance of Fox's hip-hop-themed drama Empire this season, The Wiz began to look like the obvious choice. First of all, thank god they didn't pick The Music Man because I don't know how long I could sit through some B-list actor hamming it up during a too-long performance of "Ya Got Trouble." Ha, just kidding, there's no way I would have watched that. Also, can somebody please inform the idiots at these networks that maybe shows like Empire and Fresh Off the Boat are doing well because people of color will watch shows that we actually get to be a part of? FUNNY HOW THAT WORKS. Believe it or not, you can make this trend last, forever, if you just keep telling diverse stories. For some reason, Cirque du Soleil will be producing The Wiz and that somehow does not make me more confident. Unlike the previous productions, this time the network will partner with Cirque du Soleil, which will co-produce the event and then present it as a Broadway revival for the 2016-17 season. Once again, Craig Zaden and Neil Meron will executive produce the show. Director Kenny Leon will stage both the television production and Broadway revival of The Wiz in collaboration with Tony winner Harvey Fierstein, who will contribute new material to the original Broadway book by William F. Brown. The Wiz will follow NBC's live version of Peter Pan which did terribly. The cast has yet to be announced so we can all start the speculation now as to which unlucky souls will have follow Michael Jackson and Diana Ross. The Wiz will air on NBC on December 3rd. In the meantime, let's hold to this as the only version of "Ease On Down the Road" while we still can.